Have you ever wondered how the people you see at the gym or on your favorite trail stay in shape all year long? I’ll give you a hint: It’s all about consistency, dedication and making fitness truly fun. Working out doesn’t have to be a drag—and it doesn’t have to be something you only do to accomplish a New Year’s resolution or weight loss goal. 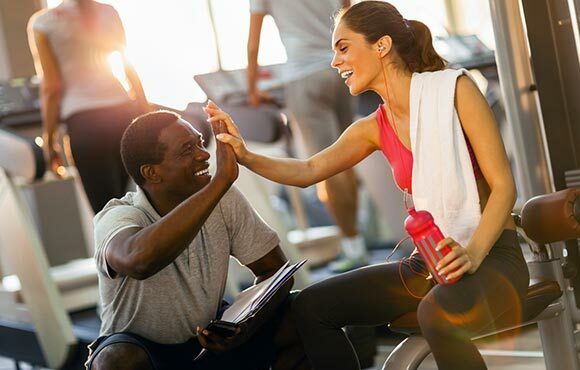 There are many ways you can make fitness a lifelong pursuit and stay in shape all year long. Here are a few secrets from the people who have done just that. Secret #1: They don't diet. Whatever you do, do NOT diet. That's what Dr. Jacquie Lavin, Head of Nutrition and Research for Slimming World, says is her top secret to staying in shape all year long. 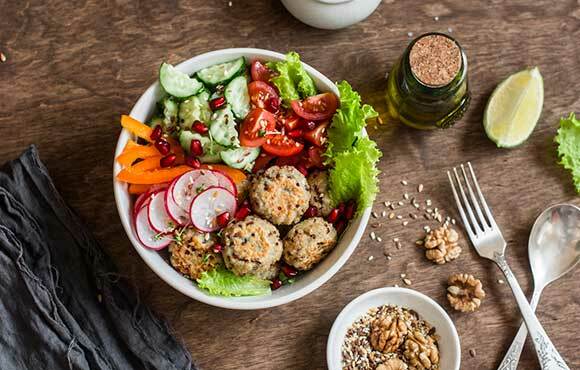 "For most people, diets equal smaller portions, counting everything you eat, hunger and deprivation, all of which aren't realistic when it comes to sustainability," she says. In other words, "diet" is something you tolerate for a week or two before going back to your previous way of eating—and your previous shape. Lavin argues that the best way to actually stay healthy all-year round is choosing a plan that doesn't leave you hungry or unsatisfied. Secret #2: They still eat the foods they love. On that same note, to stay in shape all year long, fit people focus on balance, not perfection. 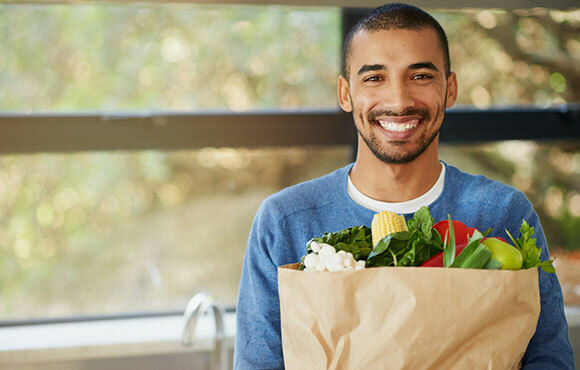 While healthy choices are important—reaching for fruit, vegetables, whole grains and lean meat to satisfy your appetite—it's also important to not feel restricted. Lavin's secret to staying in shape includes a small allowance for food and drinks that other weight loss plans often ban (like candy, chips and alcohol). 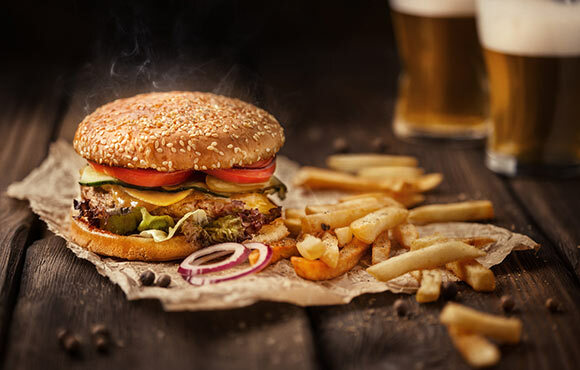 Of course, she does say to proceed with caution when it comes to these high-calorie choices. Secret #3: They focus on adding, not restricting. One of the best ways to create healthy habits is to focus on adding instead of subtracting. iFit trainer Idalis Valazquez says to find the few things that will have the biggest impact on you achieving your goal and to add those in consistently, like drinking more water, eating more vegetables and adding more movement into your day. These changes feel more positive compared to taking away your favorite foods or leisure time. Secret #4: They set small, reachable goals throughout the year. Don't train for just one event, because when that event is over, you'll likely stop working out. Nikki Walter, a fitness model and current member of TEAM bodybuilding.com, says she tries to plan races and competitions throughout the year. "I need a goal to stay accountable," she says. "I recommend switching it up with maybe a fun run, mud run and a competition, so that I'm not getting burnt out." Secret #5: They set performance-related goals. Specific, performance-related goals keep you focused and empowered, Valazquez says. Think performing your first full pull-up or running a 5K in a certain time. People who stay in shape year-round, place the focus on these metrics instead of just checking off a workout. This makes it easier to stay motivated, since you will leave your sweat session knowing it was for a specific purpose. Secret #6: They celebrate all their wins, no matter how big or small. "Running a marathon, deadlifting double your bodyweight, losing 30 pounds…those are great milestones to celebrate," Valazquez says. 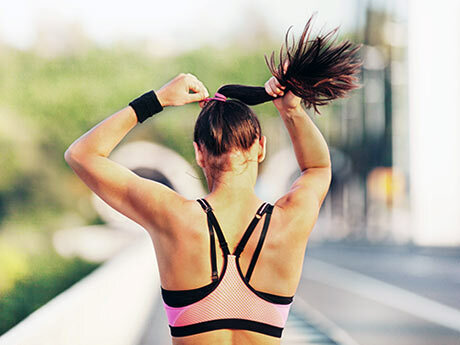 But she argues it's equally important to celebrate when you're consistently getting your workouts in, adding movement during your day or when you've finally conquered your first mile. Secret #7: Surround yourself with fit friends. 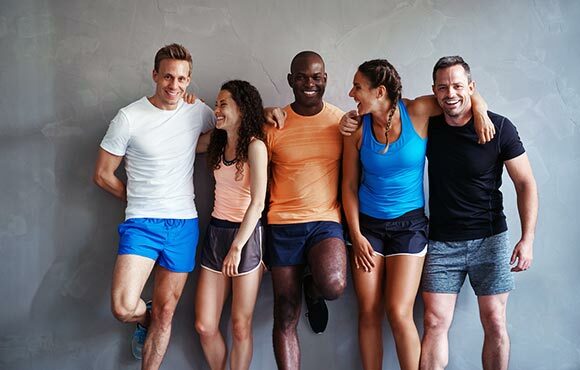 Whether it's a co-worker, your best friend or a group you commit to, find people to make fitness plans with, even if it's not for every single workout. Surrounding yourself with people who share your love for health and wellness goes a long way when trying to stay fit for life. Most fit people have social groups who share the same vision when it comes to living a healthy lifestyle. Secret #8: They plan ahead for workouts. You'll hear this tip over and over again, because it's effective: Plan ahead. If you workout in the morning, lay your clothes out ahead of time. 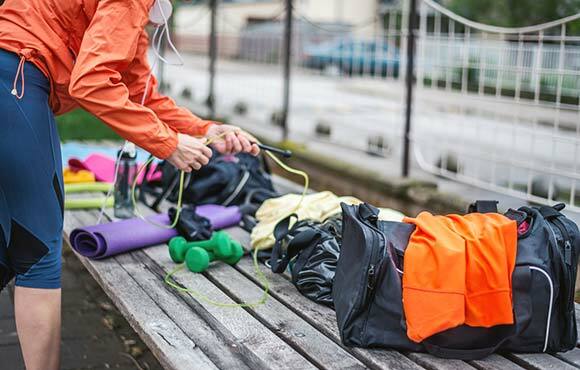 Make sure your gym bag is packed and you're ready for the next day. But it goes beyond that—plan and prepare for the unexpected, too. One top secret of the super fit is that they have a "just in case" bag in their car. This bag has a change of workout clothes and an extra pair of shoes, just in case there's time to squeeze in a workout. Secret #9: They do 2 to 3 full-body metabolic workouts a week using heavier weights. Valazquez says staying fit all year involves consistent workouts that challenge you, specifically with weight lifting. "Adding heavier weights into your routine makes you leaner, increases your metabolism and helps you burn more fat," she says. 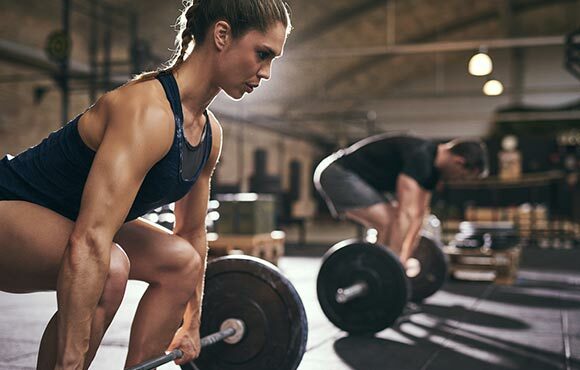 Full-body metabolic workouts are the most effective way to increase your resting metabolic rate, maximize your workout time by burning more calories and boost fat loss. Plus, you'll see results quicker. Secret #10: They exercise in the morning. 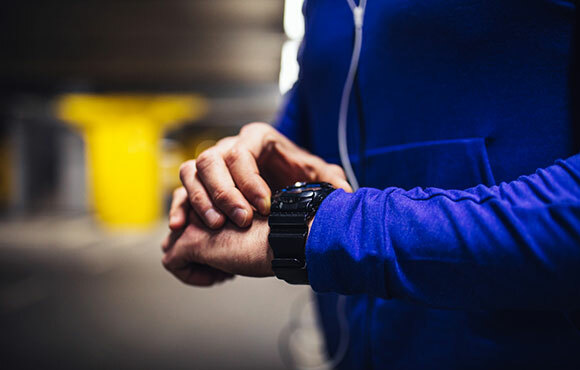 While it's true that the best time to workout is the time you will actually get it done, there is something to be said about exercising first thing in the morning. Many regular gym goers will tell you that if they don't hit it first thing in the morning, it won't happen. Secret #11: They make fitness fun. 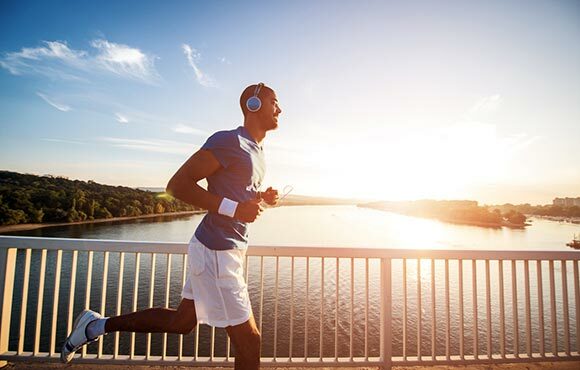 There are thousands of ways to be active and improve your fitness level. Finding what makes you happy will increase the likelihood of adhering to an exercise program for the long haul. Schedule in a "free day" that does not include a set program such as going to the gym, running a certain number of miles or hitting the usual spin class. Instead, use this day (or two) to just enjoy being active. Go for an impromptu hike, go swimming, play soccer in the yard with your kids, take a dance class, go on a bike ride—just switch it up. Secret #12: They make overall wellness the goal. Working out to become thinner shouldn't be the only motivator. People who stay in shape all year long use exercise as the vehicle to meet many diversified goals. Whether that's an increase in energy, lower cholesterol or management of mental health issues such as depression and anxiety, making your overall wellness the outcome, as opposed to a fickly number on the scale, will help you create habits that stick.